There is an old adage that says “criticizing is easy, offering a solution is hard”. 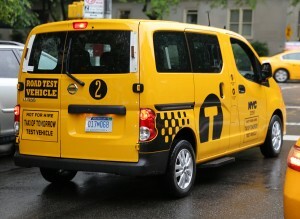 Oddly enough in the case of New York City’s Taxi of the future, the Nissan NV200, that saying works better backwards. Designing something better is easily done; criticizing it is arduous. Somehow Nissan has been able to convince the mayors of a couple major metropolitan cities that antimicrobial upholstery and a custom livery conveniently splashed on an existing minivan platform is indeed the taxi of the future. 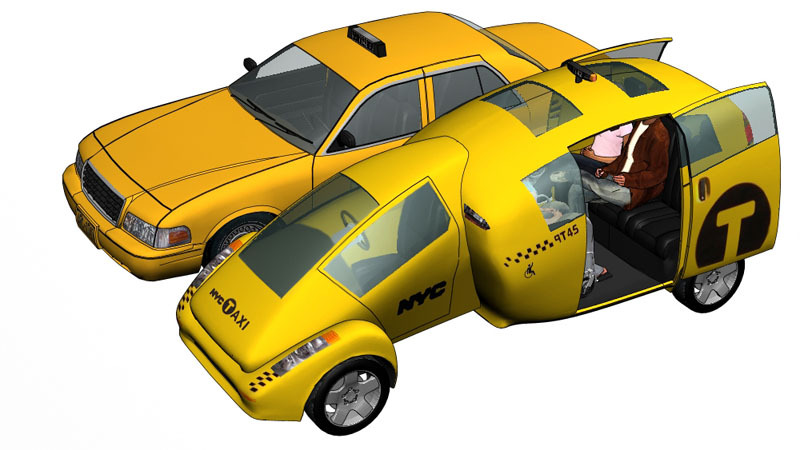 We all know that Nissan is a towering company able to move products and push their way to the front of any can-do list, but do we all really have to tell each other this is the taxi of the future? Honestly, what about it is the future? For God-sake there isn’t even an electric version yet. 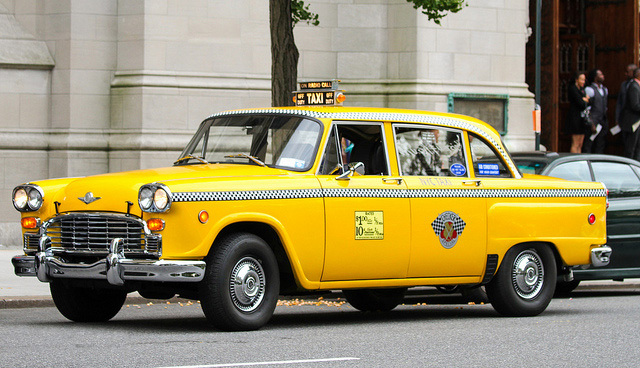 Most taxis in Europe are modern diesels, getting gas mileage that make a Prius green with envy, and this taxi has an old fashioned gas engine, so that aspect of the future it’s talking about has already happened. Could it be that it has a ‘transparent roof’? Haven’t moon roofs been around for a while? Is it that it has sliding doors? Please. The only possible claim left it has to tie itself with the future would be its looks but, ho dear me, unless the future is a brutalistic dystopia (…and strangely only Nissan is privy to this information), I would say we are left with no foresight into the future at all. Then came Ford’s Crown Victoria, not designed as a taxi but large enough to pretend to be one. 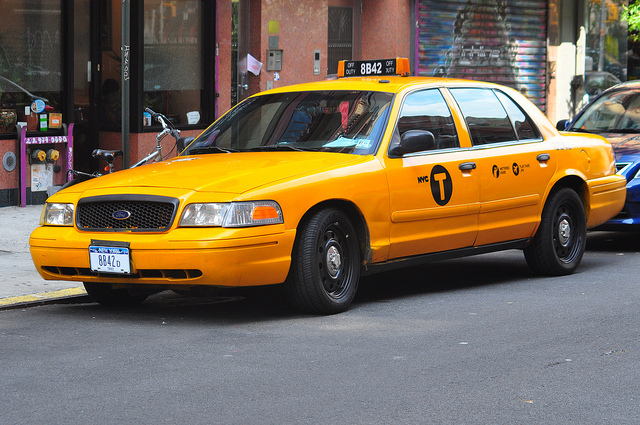 The only thing that made the Crown Vic part of the New York landscape is that it was ubiquitous. There is something to be said for brand continuity and the site of a yellow Crown Vic with the numbers alight on a cold winter night is enough to become the most soothing moment of any New Yorker’s day. The Crown Vic was more comfortable than a Checker but it was nowhere as roomy and if you were in four, then one lucky person would get to know the driver in an intimate way by riding shotgun, disconnected from the conversation in the back thanks to the all-no-too-subtle bullet proof divider. Did you say wheelchair? Ha! The Crown Vic was not a good taxi design; it was an adequate taxi at best. So here comes the easy part and as a New Yorker who is in the design business, I’ve taken the liberty and initiative to design one (after all, we are New Yorkers, there is nothing we can’t do, right?). Roomy enough for four, including a friend in a wheelchair. Make it hybrid or fully electric with a hot swappable battery. 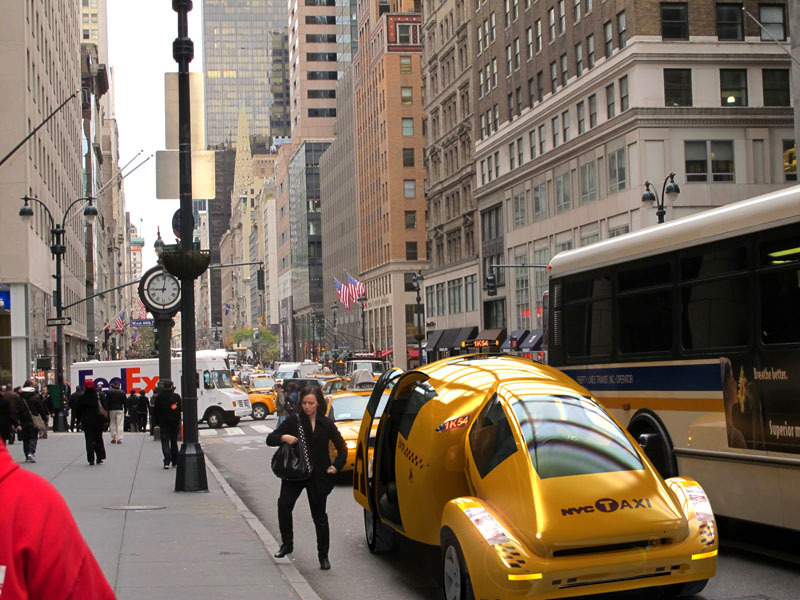 Most important – make it look awesome; let it become an icon for New York City. The design congealed around the concept of the horse drawn buggy, enclosing the passengers in their own space, solving the dreaded driver safety issue from stick ups while at the same time isolating the passengers in a private and roomy atmosphere. 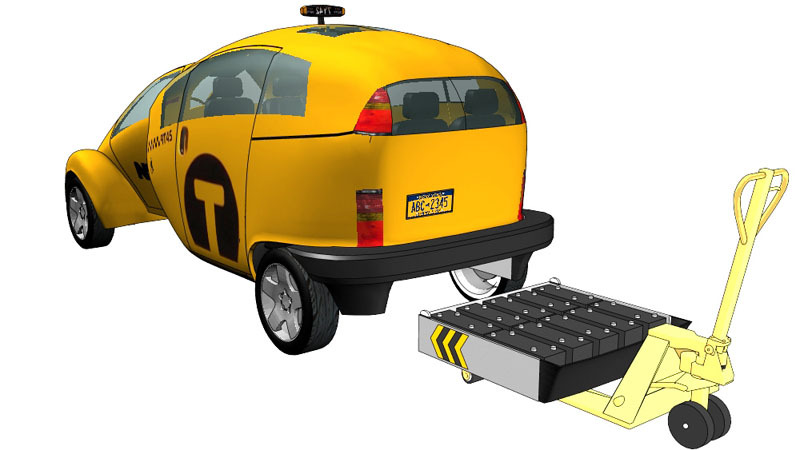 The rest was even easier, built-in ramp for a wheelchair to roll into the cab, sliding doors and moon roof (duh..), and place the driver in the middle of the vehicle so he can see equally well how close he is about to cut off the car in the next lane. Throw in gps, on-board Wi-Fi, digital rear view cameras, proximity sensors, airline flight and train status and yes, how could I forget, antimicrobial fabric! Then assemble it in the Brooklyn Navy Yards. If Nissan wants to build the chassis and powertrain, fine, but we build the cab. 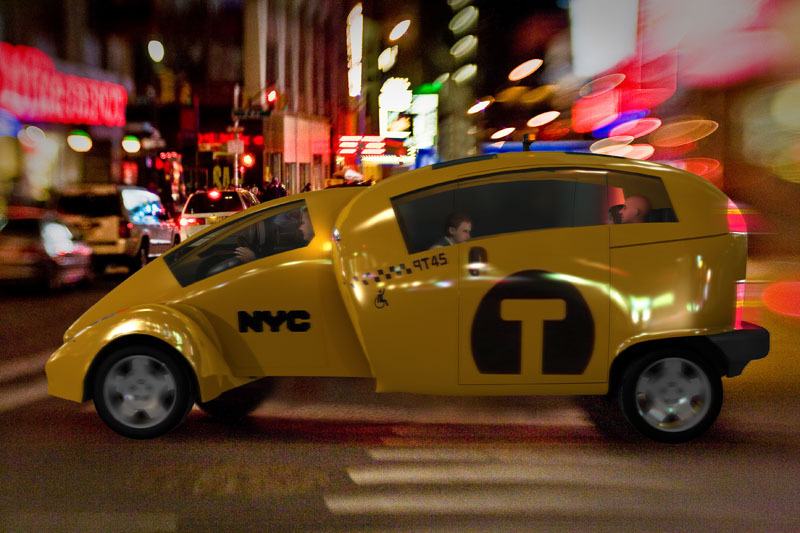 Ladies and Gentlemen I present to you the New York City Taxi of the Future. Something we can claim our own in an era where so many icons have disappeared. Now this is innovation at its best. 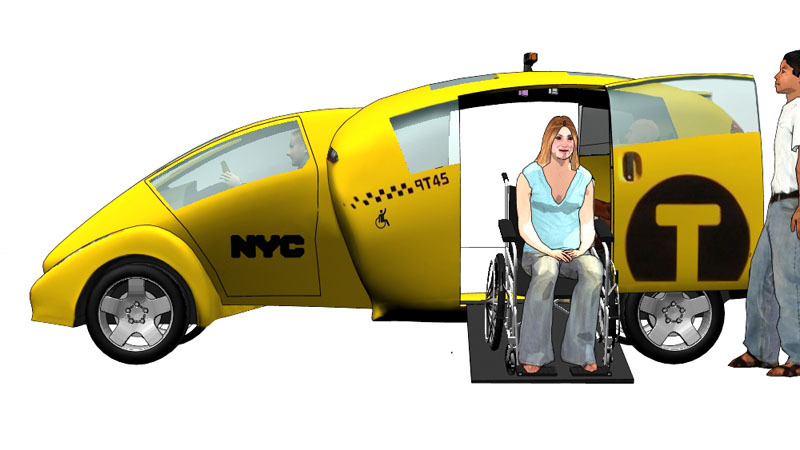 This idea allows for a larger convenient space to accommodate passengers & their disabilities with comfort & practicality in mind. But also the Driver is seated centre out of the way, for better visibility & security. This whole idea is ideal for our world today & the future…..what reliable propulsion systems will be used (Dual power sources would suit city & out of town routes). So when will production start. DON’T DELAY. Great idea separating driver and passengers. Good job guys.